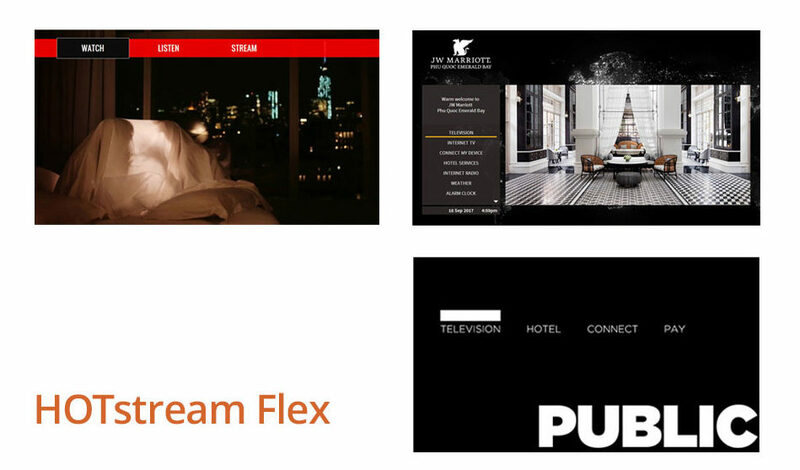 HOTstream TV is the leading In-Room Entertainment (IRE) solution in the Hospitality Industry. 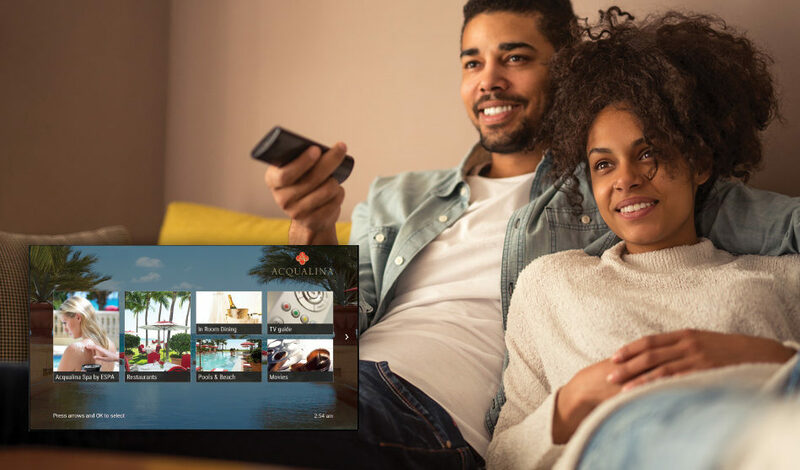 By utilizing its expertise in video technology, TV usability and user interface design, MCOMS turns in-room TV viewing into the ultimate guest experience. HOTstream is agnostic to all the Free-to-Guest providers and TV distribution infrastructures (Cable, IP or Hybrid). It can be offered with your choice of FTG providers including cable, satellite, telco, OTT or hybrid. It comes with an Electronic Program Guide (EPG) and Channel Bar with current and future program descriptions and previews and supports HD channel programming. HOTstream IPTV is customizable for Premium and PPV channels. HOTstream offers an extensive variety of first-run movies for your guests with competitive revenue share options. More than 250 Hollywood, Independent and Adult movies are available at any given time. Weekly or monthly updates guarantee that your guests have access to the latest releases. Movies are offered in a variety of formats, SD and HD with multilingual audio and subtitles, depending on the region. HOTstream is fully certified with the leading Smart TV vendors to provide a state-of-the art in-room entertainment (IRE) solution without the use of set-top boxes and unnecessary wiring behind the TV. 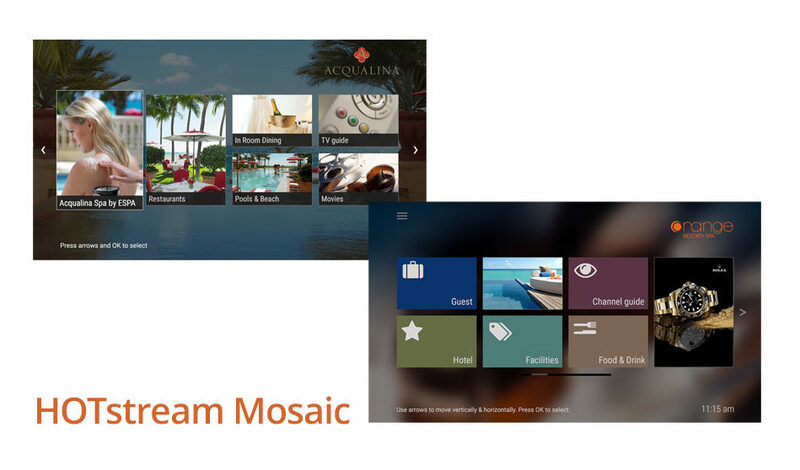 Since its creation, HOTstream has only used HTML technology for its guest experiences. As a result, our Smart TV solution is one of the fastest browser-based applications in the industry with unmatched reliability and flexibility. 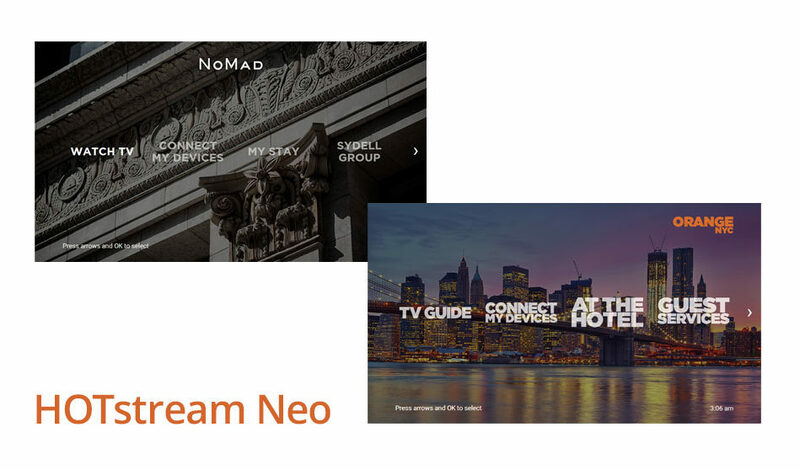 Our solution includes the available smart TV apps as needed by the hotel. 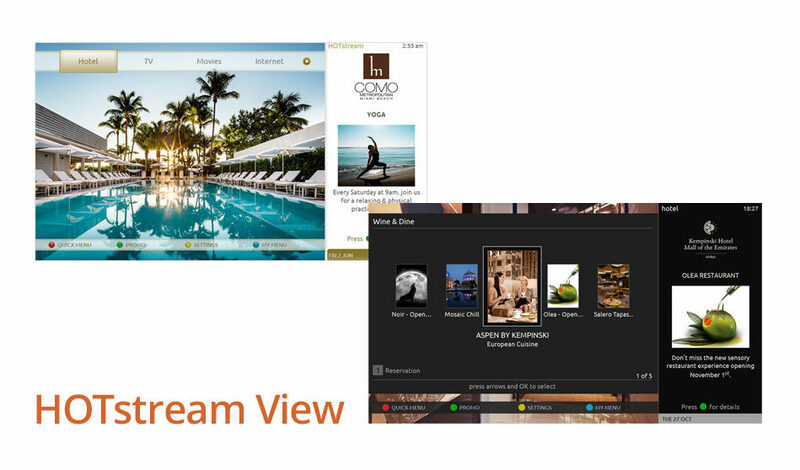 Using our STB technology, HOTstream can turn any hotel TV into a Smart TV with full functionality and user experience. HOTstream STBs are the choice for those hotels that don’t want to change their existing TV hardware, prefer a two-piece solution or wish to use specific TVs that are not smart. With our Interactive Information Panel, the hotel can promote amenities, services and activities providing useful information as well as online reservations and bookings in a non obtrusive manner. As a result, guest experience is enhanced while revenues increase. The Info Panel is managed by our own customizable Operations Management System suite (OMS) that schedules hotel or 3rd party promos with the ability to show content from Facebook or other social media accounts. We can customize any part of the user interface upon request.